Welcome to Racing Apex! We have been working on this title for a long time as an after hours project in between other dev work. Now its time to roll it out of the workshop, into the sunlight and start her up! There's still a lot of work to be done. We hope to build up a community of racers from all over the globe, who wish to compete together in Racing Apex! 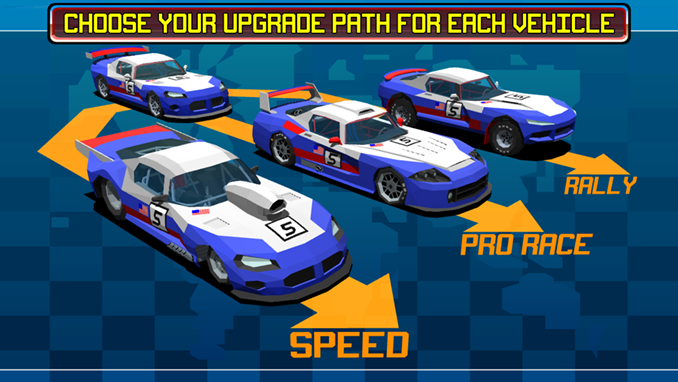 We will be posting more updates soon, or you can head over to www.racingapex.com for all of the information. I like the visual style, it may first looks like crap but the way it has been done by artist(s) is cute (remind me zeewolf on Amiga), hope physics will follow and make the game as fun as it look. Zeewolf was great! 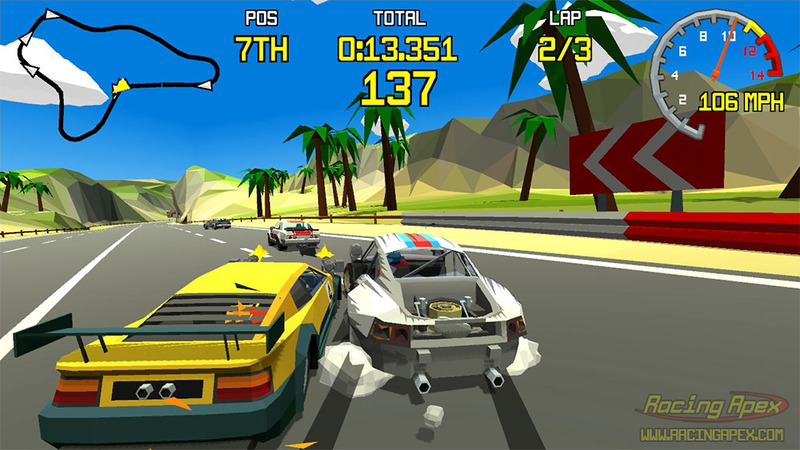 I played a lot of Indy 500 and Hard Drivin' back in the Amiga days - those games have helped shape the look of Racing Apex. 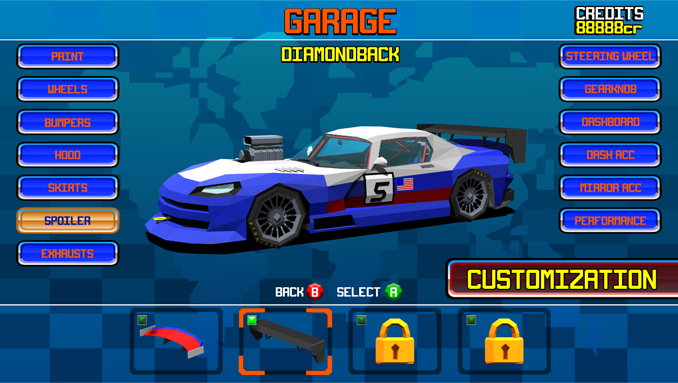 The cars use full physics for handling and damage. Is is relased and can we buy it? Not just yet, we are still at pre-alpha at the moment. We are planning for early access soon. As it would be great to have the community help us balance all the car and character combinations! finally a good racing game my hardware can handle! Thanks! We've got it running on older Vista PC's at 30fps. We are aiming for 60fps though! Like it. Looks retro, yet it is still so modernized. 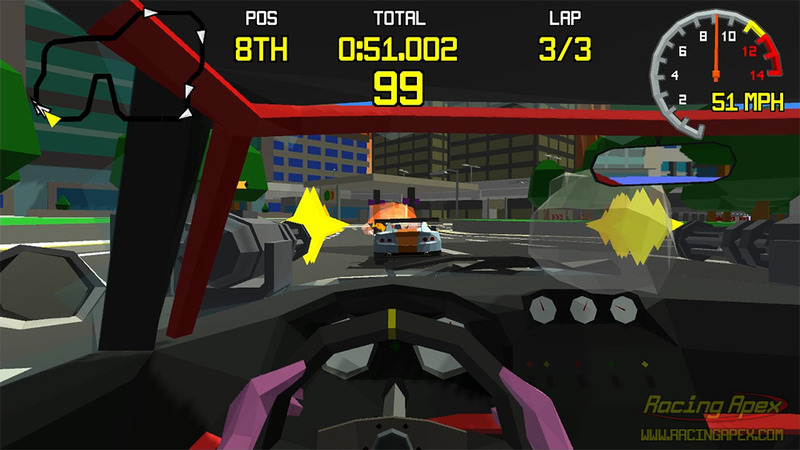 Finally a game like VirtuaRacing. This polygonal graphics, without textures, are great. The characters are similar to the characters of Interstate 76. This will be a free game? It will be available on Steam, Origin or GOG? I've got my old copy of Interstate 76 here on my desk, its another great game that has influenced us! It'll be pay once, no micro transactions or pay to play. We're hoping to get it on Steam greenlight very soon and if possible GOG.